san jose child photographer • what 3 looks like | gooseandbugsphotography newborn baby and child PhotographyCustom children's photography, specializing in newborn portraiture, on location in San Jose, Ca and the surrounding Bay Area. ← san jose birth photographer • it’s a girl!!! I absolutely LOVED this session. Capturing children in their element being themselves is so very important to me as a photographer. I try to do this constantly to capture the little things I want to remember about my own kids so to be able to do this for someone else just makes me really really happy. 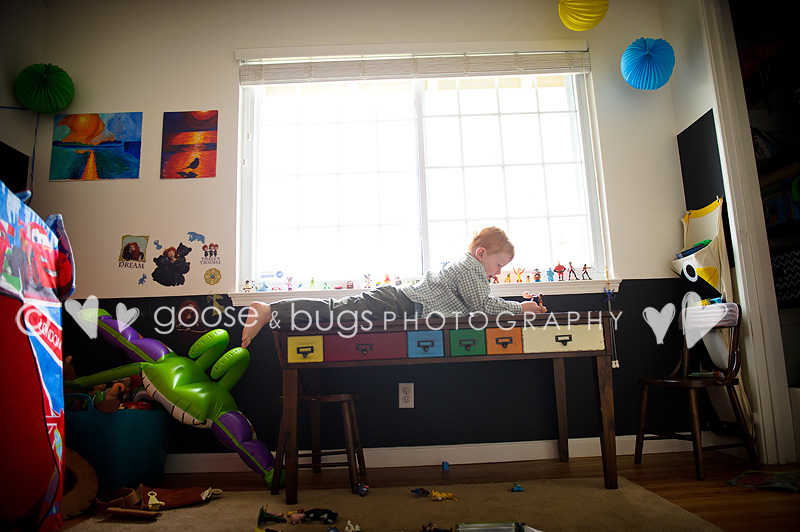 Not to mention this little man has one of the most fun and colorful playrooms I have ever seen. This entry was posted in children and tagged bay area child photographer, bay area documentary style photographer, bay area family photographer, bay area lifestyle photographer, san jose child photographer, san jose documentary style photographer, san jose lifestyle photographer, san jose photographer | Bookmark the permalink. Love it! What a creative way to photograph him in his element…it’s exactly what 3 looks like! oh my goodness.. what a fun session! and such an adorable little guy. Fabulous! Oh, I love these!! The light and the color and that adorable little boy all go so well together!